A bizarre alien countdown is ticking away, and Tommy needs your help. It's been almost five years since we - good lord, I - announced that the sequel to the 2006 shooter Prey was in the works. Since then we've seen a couple of live-action trailers indicating that the game was heading in a completely unexpected direction, the return of the original protagonist, delays, contract disputes and most recently, a statement that the game isn't canceled but is instead just "in limbo," whatever that means. That may be about to change, however. Point yourself at aliennoire.com and you'll be greeted by what is apparently a countdown, and while my first thought was that a downed Predator was getting ready to blow up the internet, the good folks at NeoGAF say that it actually appears to be a Prey 2 countdown. That belief came from the presence of the terms Prey, Prey 2, FPS, Bethesda Softworks, Human Head Studios and Alien Noire in the page source code. 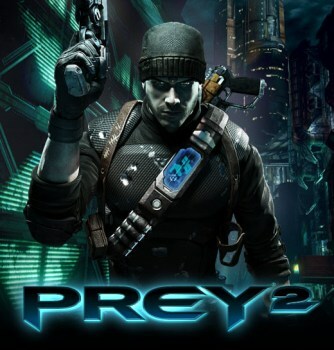 Those words have since been removed and replaced with the far more cryptic "Tommy needs your help," an obvious reference to the lead character in Prey; the logo at the top of the countdown is also very similar to the real Prey 2 logo. It is of course quite possible that the whole thing is fake. Setting up such a strange countdown and then letting the cat out of the bag with keywords in the source code is awfully clumsy, and according to a /whois the domain name registrant is "The Collective," based out of Tahlequah, OK. Tahlequah is the capital of the Cherokee Nation - the aforementioned Tommy is Cherokee and lives in Oklahoma - while the Collective, according to an old Xbox360Achievements preview, is a group from Prey 2. So is it real or is it fake? My money is on real, for no particular reason except that I enjoyed Prey, I thought Prey 2 looked very promising and I'd really like to see it finally come to fruition. Either way, it'll be awhile before we find out; the countdown will hit zero in a little less than 25 days, meaning that March 1 is when the truth will be revealed.